Edo is one of our most experienced tour leaders. He graduated Tourism at Zagreb Faculty of Economics. Ever since, he has been working in our team. In loved with mountains, Edo leads our more challenging trips, giving you the insight what it means to be a real Croatian mountaineer. Edo is also an active caver, so he will be able to explain to you the secrets of the Croatian underground world while enjoying the open skies of the Croatian mountains. During his tours, he loves to discover the rich wildlife of Croatia together with his clients. Always positive and attentive to his clients, he takes pleasure in being an ambassador of his country. 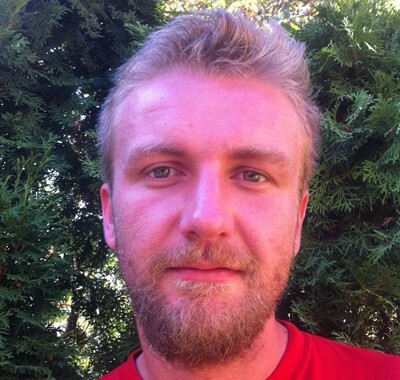 Zeljko graduated in electrical engineering in Zagreb and has taught six years in high school. As he was always close to nature and loved spending time outdoors he decided to exchange classroom for a job that would provide him more time for his hobbies. So, since 1994. he works in publishing and he is a proud owner of a small publishing house specializing in travel and outdoor literature. But that’s not all; if you love jazz maybe he can provide an extra ticket for one of the largest jazz festivals in Croatia as he is a program manager for the same. He is actively engaged in climbing and mountaineering, backcountry skiing and cycling. 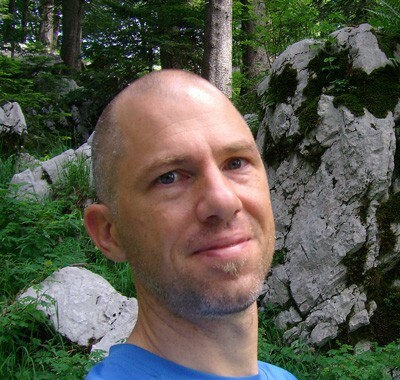 In recent years he is also working as a leader of hiking and trekking tours in Croatia. If you like leisure, moderate or only ˝flip-flop˝ grade hiking tour you will most likely find yourself on a tour where Vanja will be your tour leader. 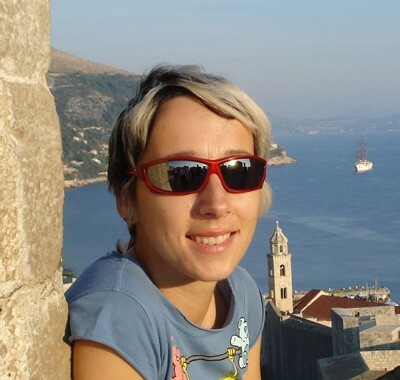 Vanja, graduate of Ethnology and cultural anthropology and pedagogy, is also a part of VMD Travel agency office team. She started her leader career in 2005. after she mastered tourist animation in some of the largest hotel complexes she definitely decided that working with people is what she enjoys the most, of course, followed closely by outdoor activities! She has a great cheerful character and most would say a great sense of humor. She tried her luck in most of the group sports, but in basketball and futsal she accomplished noticeable results playing for her Faculty. Even though her colleagues are trying to tie her to the office desk she will always find a way to join you on a tour and will do her best to make it memorable and joyful one! Boris is our reliable know-it-all guide, enthusiastic about his job, meeting new people, enjoying the landscape and surrounding nature and very concerned about you comfort. Traveling should be fun with a healthy amount of movement and some knowledge, that is his credo. He is fluent in three languages and has therefore been declared the VMD agency’s linguists. His first love is long distant swimming so if he is not leading tours he is planing a new swimming marathon along Adriatic coast. 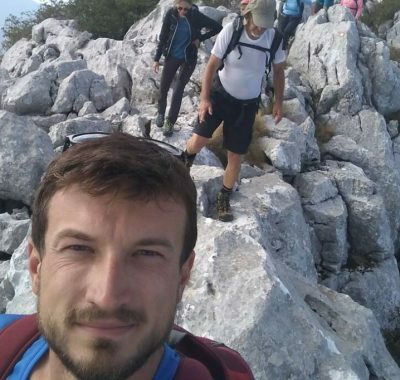 For the past three years he has been working as tours leader discovering Croatian mountains. A computer science student who definitely decided to exchange his computer screen with the soothing green colours of the forests, rocky Croatian mountains and the blue Adriatic Sea. 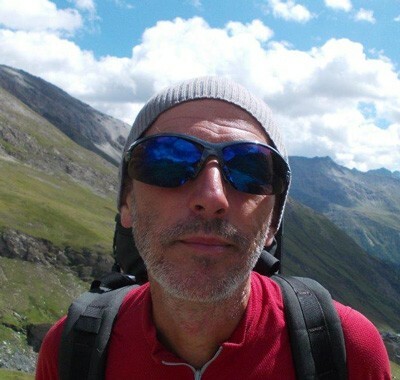 Since 2015 Ivan actively participates in the work of the VMD, he’ll be your backup vehicle driver on cycling trips and your tour leader on hiking and trekking trips. Ivan is an easy going person, always curious and enthusiastic, looking for something new and exciting, all the characteristics which one would prefer in a great leader. He will tell you more than once, that he has a dream job as he enjoys hiking and cycling in the company of people of different nationalities where he continues his learning experience. During quiet season he will tell you that he is practising his patience making small scale models so he keeps fit and prepares his nerves of steel for the adventures and the challenges of the season to come. For leisure or work, Alan’s two wheels have taken him up and down the Adriatic and inlands as he is an experienced cyclist. 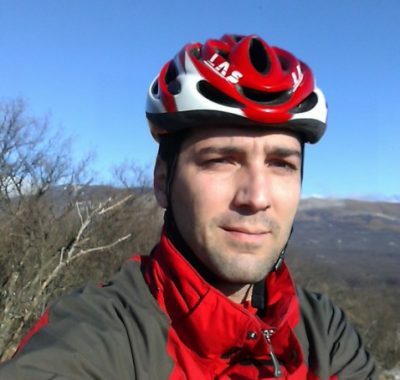 A former MTB competitor, even though he has put his professional SPD’s on the wall, but not his bike as well, he enjoys the recreational rides discovering the beauties of Croatia together with his guests to whom he will be a perfect host. His little sidekick, Robin, is tailing along in his bike saddle with a big smile on his face discovering of the beaten tracks with his dad. Alan is also fond of free climbing, kayaking, and other outdoor activities. Also a keen motor biker who dreams of owning his camper in the future. And for the sense of security, you will be in safe hands and pedals as Alan is a mechanical engineer so he will know how to fix any small breaks on your bike. A real people person, or one might say: ˝a social animal˝, always up for a good laugh and when it comes to his guests Marijo will be available 24/7. He has been sharpening his people skills by working in the Zagreb’s oldest rock club for over 14 years and in the formal sense of education he is finishing marketing and communications college in Zagreb. Hiking and cycling are the things he prefers the most so he spends all his free time outdoors regardless of the weather conditions preparing for his dream holiday which is hiking the Te Araroa trail across New Zealand. In the meantime he will be your fantastic and caring leader and a great host on our cycling tours. He knows his way around bikes and he is looking forward to seeing you in the great Croatian discovery on two wheels. Ana is one of our most experienced cycling tourleaders. She’s been an integral part of the team for more than 5 years now. Within this period she worked hard to give 100% to each and every cyclist that ever came to her programs. As a proof of her tourleading value, friendly approach and great cycling expertise, she is often invited by group members to visit cycling routes in their own countries, where she continues to keep and raise the cycling spirit of her new-found cycling friends. 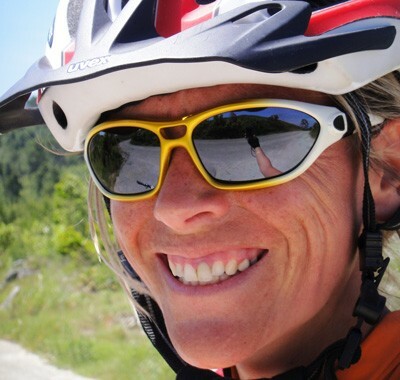 If you find yourself on a tour with Ana, you can expect a strong, active tourleader and a cycling-inspiring vacation. When not on tours, Ana works as a licensed lifeguard on Zagreb’s lake Jarun, where she once again dedicates her expertise to keeping people safe and happy.